Preliminary International Visitor Survey* (IVS) figures released today (9 January) show a record $1.35 billion was splurged on the Gold Coast for the year ending September 2018, in the lead up to summer. Visitor spend increased by 13.3 per cent for the year, once-again outperforming growth rates for Queensland (11.5 per cent) and doubling that of Australia, which grew by 5.2 per cent. 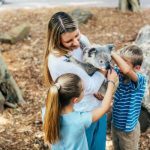 Figures reveal the global appeal of the Gold Coast remains strong with visitation topping 1.05 million arrivals, up 1.4 per cent. This cohort contributed 9.6 million visitor nights; up 3.6 per cent to drive record-breaking spend by international tourists. Destination Gold Coast CEO Annaliese Battista said the global appeal of the Gold Coast is going from strength to strength. “The Gold Coast is seeing an increase in international visitor spend – a trend likely to only get bigger,” said Ms Battista. “There is immense opportunity to build the international tourism economy in the year ahead. “This includes redirecting our investment and focus to entice high yield travellers from our core international markets including China. “Rather than chase volume, we are looking at a more sustainable approach to growing our slice of the tourism pie and that starts with owning our space and keeping our messaging simple, to lure international visitors. 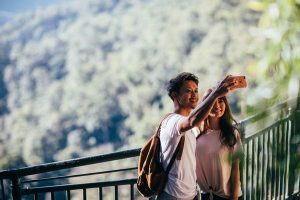 China accounted for the largest number of international visitors 269,000, down 11.7 per cent, followed by New Zealand with 207,000 visitors, up 6.2 per cent. USA saw the largest increase to 41,000 visitors, up 13.8 per cent. The Gold Coast also posted record-breaking results for domestic overnight expenditure for the same period. * International visitor data is provided by International Visitor Surveys conducted by Tourism Research Australia for each quarter. Preliminary results will not include any data relating to purpose of visit for the September quarter 2018. This is because the quality of the main purpose of visit component of the passenger data supplied to TRA by the Department of Home Affairs has been identified as a concern.